So how much will it cost to get our excellent sofa cleaning service? Get in touch with us right away and we will swiftly give you a non-obligatory and free quote at 020 3746 3201 or our form. Our mattress cleaners can effectively execute all round bed furniture cleaning as well as UV sterilising by using a particular UV light. We also provide effective dust mites removal and bed bugs removal service for all private and commercial inhabitants in the area. That type of upholstery cleaning service is especially suitable for hotels, hospitals etc. Our curtain cleaners are able to clean every kind of fabrics and also materials and get rid of various stains, kill and take away dust mites and rejuvenate your curtains at a reasonable rate. We offer domestic and commercial drapery cleaning and blinds cleaning performed in accordance to our top quality and security procedures. Powerful fast drying method is included in the charge for curtain or upholstery cleaning. Additionally, upon request, we are able to utilize secure and effective Scotchgard material protection or deodorise the cleaned textiles in your house or workplace. There’s one more thing thatdifferentiates Better Cleaning Company from the rest UK firms that are experts incleanup. It is the extremely experienced staff of experienced and gifted crew of North London BR sofa cleaners we perform with. All of our upholstery cleaners arewell-trained, educated and insured. Weteach them to followcustomer’s guidelines. They never leave a home with unfinished work. that car upholstery cleaning is also ! Upholstery Cleaners North London BR Gurus. Get In Touch Now! 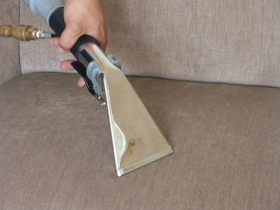 We currently have a system for effortless upholstery cleaning North London BR reservations. Better Cleaning Company provides bank holiday and weekend availableness at a fair and predetermined prices. Our upholstery cleaners can additionally offer Scotchgard fabric protection and deodorising upon request. There is no deposit for booking, and we offer discounts if you book extra services along with our upholstery cleaning. Call us now via telephone 020 3746 3201 or send us an online request. Same day visits available, if you need an urgent cleaning too!